This book may change the way you study the life of Christ. It will help you to read the gospels, not as a bystander watching the events occur, but as a participant because of our union with Christ. God the Son took on my nature and was born as a man, identified with me as a sinner in his baptism, fought for me in his temptations, and displayed his glory to me on the mountain. He prepared to drink down the wrath of God for me in the garden, though innocent he stood condemned for me at his trials, then he both died and rose again for my salvation, and I died and rose again with him. More than that, he ascended in his glorified human nature and I am seated with him in the heavenly places. One day soon, when Christ returns, I will appear with him in glory! Read this and you will see how you too can find your place in story of Jesus. The brilliance of this book is that it relieves two tensions with each other. It gives detail to the otherwise ethereal while bringing nearness to the otherwise distant. 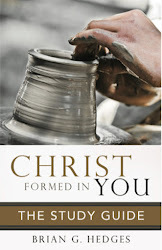 Many of us talk ‘union with Christ’ in such vague ways, while viewing the contours of Jesus’s own life from afar. But Brian Hedges seeks to remedy both troubles in one fell swoop. As we press our union with Jesus into the whole of his life, the doctrine becomes real, and the stories come to life. We see, and feel, with freshness that the one to whom we’re joined by faith truly is for us, from Bethlehem to Baptism to Golgotha to Glory. Union with Christ is a vital doctrine for the Christian life (in more than one sense). The church has been well served by excellent systematic theological treatments of the doctrine. But this book does something more profound. Hedges here wanders the pages of the New Testament gospels with the reader, showing us union with Christ. He takes the abstract and makes it concrete. He renders the concrete with a profoundly biblical stroke. 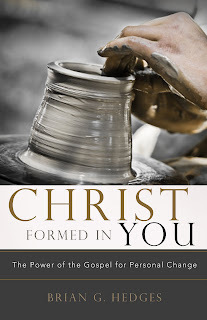 And the result is not only concrete and biblical, but an essentially personal portrait of life in Christ. This is a thrilling read: Christ-soaked, gospel-saturated, well written, and broadly informed (the sidebars throughout are a wonderful addition). Hedges doesn’t want to leave a single stone of the glory of Jesus’ life unturned – and he doesn’t want us to miss a single drop of the life-giving water we can drink as we come to him, hear his voice, and walk in his steps. Hugh Martin’s theological acuity and pastoral heart have here found a twenty-first century voice. When we think about the Christian life as union with Christ, we often turn to Paul's letters where the doctrine is explained so clearly. But this book equips us to go one step further in: To take up the story of Jesus itself and find our salvation in each of the major moments of the Gospels. So richly traditional that it may strike some readers as novel, Brian Hedges' new book is an invitation to a profound encounter with the saving life of Christ. Brian Hedges is one of my favorite contemporary Christian authors. In this current volume, he brings the depth of the Puritans to our understanding of union with Christ. 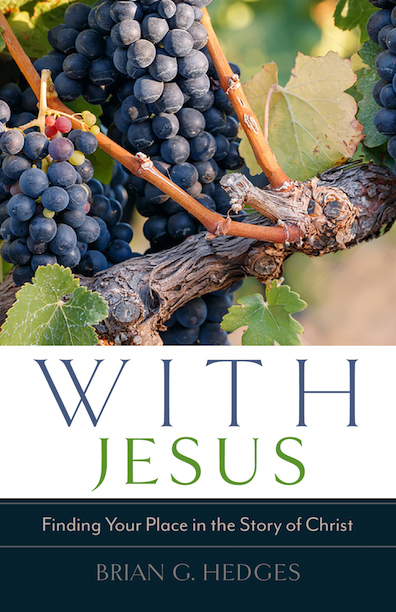 This book engages us in a fresh and compelling discussion of being with Jesus in all the stages of his work as our Savior. Get it. Read it. Savor what it means to be With Jesus. While the theme of the believer’s union with Christ is woven throughout the New Testament, far too many Christians are unaware of its meaning or application. Oh, what they are missing! Once again, my friend Brian Hedges has written a biblically sound book that is rich with doctrine, church history, Puritan authors and even a reference to Lord of the Rings. Plus, he writes as a pastor with practical living woven throughout. This book has depth and accessibility—a perfect combination for exploring such a critical theme like union with Christ. Paul’s letter to the Colossian church is full of instruction on important themes like redemption, reconciliation, election and forgiveness. Over all of these subjects the person and work of Jesus Christ reigns supreme in the Apostle’s mind. Brian Hedges understands this and helpfully highlights the supremacy of Christ throughout these expositions of Colossians. This book is a wonderful introduction to this New Testament letter and will serve pastors, teachers and students very well. Learning and living God’s truth is a vital part of spiritual maturity. The Holy Spirit inspired Paul to write a wonderful letter to the Colossians unpacking the sufficiency of the Lord Jesus Christ as the solution for the false ideas of their day. Brian Hedges now offers a rich, clear exposition of this ancient letter, making modern applications of God’s eternal truth to the false ideas of our day. This book has the power to help spiritually hungry individuals and groups to biblically transform their thinking and living. As a pastor and writer, I'm always looking for good commentaries on Scripture written not simply to the academic community, but to the everyday Christian in language he can understand. What makes this commentary so good is that it mines the deep theology of Colossians and brings the gold to the surface for those who study and teach the Bible. 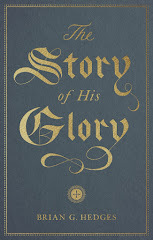 This book will not make you love its author more, but will make you love Colossians more and thus love the gospel more. Buy this book and keep it in your library and then commit to teaching Colossians to those you lead. Christ is supreme over all things--over disease and tragedy, over trial and tribulation, over every square inch on this planet earth. Brian Hedges does an fantastic job at giving us an up close look at this truth through a rich and devotional exposition of Colossians. Brian shines the spotlight on Christ, and reminds us that in Christ we really do have all things. Whether or not we realize it, each of us needs to grow in our understanding of the cosmic Christ who reigns over all. That's why I am eager to recommend this book to everyone. Brian Hedges knows the gospel! I have heard him preach it, watched him live it, and build a vibrant church on it. Brian also knows that the all-sufficient gospel of Jesus Christ is being diluted by moralism and mysticism in our culture. As citizens of our own modern-day “Colossaes”, there has never been a time when we more greatly needed a fresh look at the biblical message of Colossians. In this book, Brian helps us see what threatens our faith and churches through the lens of single-focused, gospel-centered clarity. WARNING: As you read, you might be shocked to discover how far you have drifted from the simple truth that Christ is all-sufficient. Colossians brings together the glory of Christ and practical Christian living. 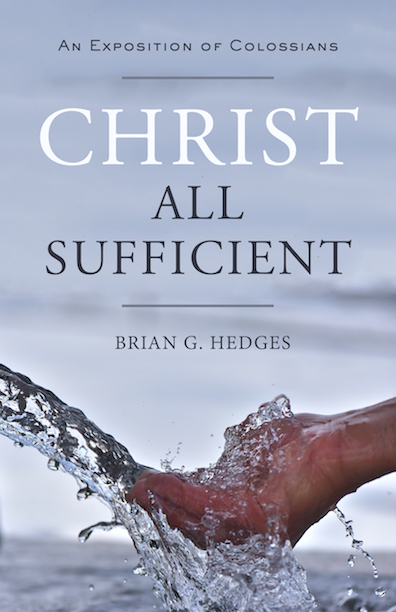 Brian Hedges uses his gift of making the profound simple in this faithful exposition. Commentaries are a dime a dozen, but most are either too scholarly for lay people or overly simplistic. 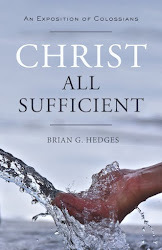 In his first commentary Christ All Sufficient: An Exposition of Colossians, Brian Hedges avoids both of these ditches. Instead, he has written a very helpful, pastoral, theologically robust, and practical commentary on the book of Colossians. Reading this commentary will help you understand the central message of Colossians — Christ — and how to orient your life around Him both in the present and the future. I encourage you to read this commentary and profit from it as I have. —Dave Jenkins, Executive Director, Servants of Grace Ministries, Executive Editor, Theology for Life Magazine. Brian Hedges serves us well by carefully walking us through the book of Colossians, highlighting the gospel truth for everyday Christian living that Christ is enough. As I read Hedges’ Christ All Sufficient I found myself challenged to evaluate, “What ‘plusses’ have I put after ‘Christ’ in some foolish attempt to make life work?” May the Lord give grace to turn from that temptation and cling to Christ alone as my hope for life and eternity. Christ All Sufficient will benefit those who humbly read it for personal growth. Those who preach and teach Paul’s Epistle to the Colossians will find it a trustworthy tool in preparing to lead others toward a Christ-centered orientation in daily life. Intended for a general audience that thirsts for a solid grasp of the biblical message and an eagerness to apply such a message in one’s life and community, Christ All Sufficient provides a reliable guide to Paul’s letter to the Colossians. This volume would please the apostolic author with its insistence on both the importance of fully understanding God’s salvific plan for humanity through Christ His Son and the relevance of this plan for different generation of believers. As it challenges both minds and hearts, it encourages its readers to be faithful to the “gospel” that “has been bearing fruit and growing” among us (Col 1:6). Hedges provides a lucid exposition of Colossians! His development of Paul’s theological thought and practical admonitions draw out the fullness of the Apostle’s hope for the formation of Christ alone in the Colossians and modern believers alike. Readers will enjoy a greater understanding of the sufficiency of Christ in every verse of this needful but often overlooked letter. Brian Hedges has previously established himself as an astute and theologically-based writer through his earlier books. Now, in his new Christ All Sufficient: An Exposition of Colossians, he has expanded his offerings to include a Bible commentary. What a rich one it is! In the tradition of John Stott’s well-known expository commentaries, Hedges has produced a verse-by-verse study of Colossians that directs the reader’s attention to the theological depth of Paul’s letter as he provides word studies, outlines, profound insights and commentary, and practical applications — making this a resource of great value to preachers, general students of the Bible, and those seeking a Biblically-based resource for discipleship ministries. Hedges brings to the task a strong understanding of both past and contemporary studies in Colossians — making his book a delight to read! I plan to use this as my first choice in all future studies of Colossians and with those being trained in the study of God’s Word. Simply put: it is superb. The promise of a deeper spiritual life is often coupled with an emphasis upon new programs, new techniques, and (above all else) new experiences. But, in Christ All Sufficient, Brian Hedges demonstrates that God never calls us to pursue anything new, but to live out what we already possess through union with Christ. To state the matter simply: God has given us in Christ everything He has to give. We don’t need anything more! This simple realization is the difference between feast and famine, fullness and emptiness; and it is for this reason that I happily commend Brian’s faithful and insightful exposition of the book of Colossians to you. I am grateful that Brian Hedges has tackled the subject of our sin, first in his very helpful book Licensed to Kill, and now in Hit List. His previous work addresses our need to mortify and not attempt to manage our sin. He gives wise, pastoral counsel on how we can “put to death what is earthly” in us. This new volume provides the same kind of helpful guidance. You will want to wear steel toed boots as you read. Be prepared to wince. Brian Hedges goes where few dare to go: He takes on the classic seven deadly sins in Hit List, and does not just biblically explain them well, but also gives theologically solid and practically insightful gospel solutions for them. This author's refined writing style and pastoral wisdom that measures well beyond his years oozes from this entire book. For those desiring a pastoral guide through these often misunderstood root sins that will leave you fixed upon the cross of Christ, you have found the right man and the right book for the task. With the exception of the Puritan John Owen, no other single author has helped me to understand the mortification of sin like Brian Hedges has. Brian, himself an avid reader of Owen, gives readers a clear picture not simply of the sinfulness of sin, but of the real means to fighting it, namely the gospel. This short book is packed with the rich theology, practical wisdom, and probing questions needed to make it useful for both personal growth and biblical counseling. I will be making use of it for years. Hit List is a great book! Hedges brings the historic framework of the seven delay sins into the 21st century. Brian's reading and research into historic Christian theology enriches this readable and thoroughly biblical examination and treatment of "the big seven." Satan destroys by cloaking his schemes in darkness. 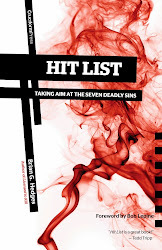 Hit List is a blazing floodlight—both convicting and gleaming with gospel clarity. For the Christian soldier eager to win the daily war against sin, Hit List is a welcome field manual. This is a clear, vivid, insightful introduction to the seven deadly sins. Hedges argues convincingly that reflection on the capital vices—and the virtues that fight them—is central to Christian spiritual formation. Hit List is a richly rewarding read. If you're dying from a disease, of course you want to understand what's killing you. But even more than diagnosis, you want a cure. With characteristic depth, Brian unpacks an ancient formulation of our soul-sickness, while giving us the antidote of grace and gospel. This book is medicine for the soul! We live in a culture in which spirituality is on the rise. With this increasing interest in spirituality has come a resurgence in mysticism, Gnosticism and every other ism. Many people are confused about what they believe and why it matters. In addition to this, sin is often minimized or hidden. This is why Hit List by my friend, seasoned Pastor and experienced author, Brian Hedges is such an important book. Taking his cue from church history, Hedges draws on the wisdom of the church to help readers better understand the seven deadly sins and how the gospel frees God’s people from them. As Hedges blows away misconceptions about the sinfulness of man readers will be captivated by the magnificence of what Jesus has done so sinners can put their sin to death and grow in the grace of God. Hit List is an excellent and needed book that I commend to you and pray the Lord will use in powerful ways to convict you of your sinfulness while pointing you to the sufficiency of the finished work of the Savior—Jesus Christ. Quick quiz for you: Do you know how to distinguish between sinful anger and righteous anger? Do you know what's at the root of your pride every single time? How about the surprising cures for gluttony? Hit List includes answers to all these questions and so much more. It's not just an academic read, though. Brian includes application questions at the end of each chapter because none of us are immune to the disease of sin. If you've ever heard you shouldn't envy (or get angry or lust or . . .), but you don't know exactly what those sins look like in your everyday life—let alone the cure—then Hit List is for you. Brian has done his research, and I'm personally grateful for his insights on what's at the root of specific sins I deal with . . . and how I can break free. Read, repent, and live free! Brian Hedges' books seem to have three things in common. They are filled with rich truth --theologically precise. They are clear and understandable. They are practical and helpful. Each of those things is true of this book. This book, like the others, is personally and pastorally useful. I make it a point to read everything he writes. When you start reading this little book, you may have the feeling of reading someone else's mail, for after all, Active Spirituality is a series of letters written by a pastor to a new believer named Chris. Before long, however, you begin to realize that these letters are actually written to you. 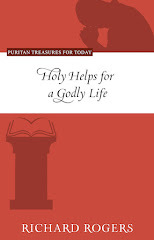 Full of practical, biblical wisdom, these friendly pages from Brian Hedges are engaging, encouraging, and helpful to Christians at any stage of spiritual maturity. The path through discouragement in the Christian life does not lead away from activity, but toward the right kind of activities: spiritual activities that are enlivened by an active spirituality. This book is a wonderful treatment of a desperately needed message that manages to hold together the grace we have in Christ with the shape of our response. This little book is both elegantly written and pastorally rich. I highly, highly recommend it. Put a fork in it! Brian Hedges has resolved the debate over the distinction between law and Gospel. If you have been confused about the state of your soul, read Active Spirituality. If you feel like you need to do more as a Christian, read Active Spirituality. If you want to live under grace while working out your salvation with fear and trembling, read Active Spirituality. Do not judge a book by its cover or by its size. Here is a book with a wealth of godly instruction disproportionate to its dimensions. Many Christians, both youthful and seasoned, wrongly fall prey to the popular notion that grace and effort are antithetical. 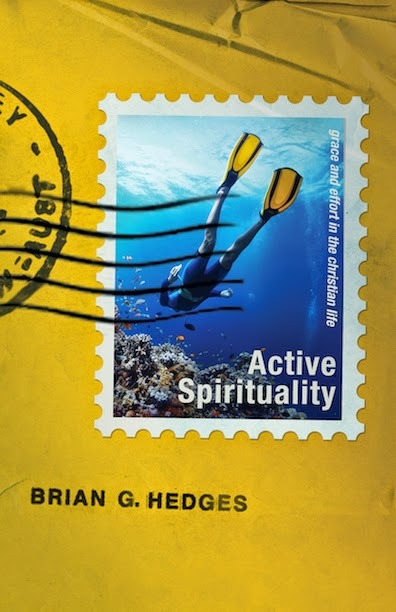 This compact collection of letters packs an effective theological punch that, God willing, will correct this false dichotomy for readers who are willing to engage thoughtfully the progression of correspondence Brian Hedges presents. Along the way, readers will be exposed to a wonderful array of instructive classic Christian literature—both fiction and non-fiction—that ought to be added to readers’ “books to read,” if not to their own libraries. 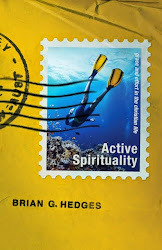 Active Spirituality is a timely and important book. Brian Hedges has threaded the needle of the relationship of justification and sanctification with great precision. The free grace of the gospel compels the Christian to strive after holiness in warm reverence for God. 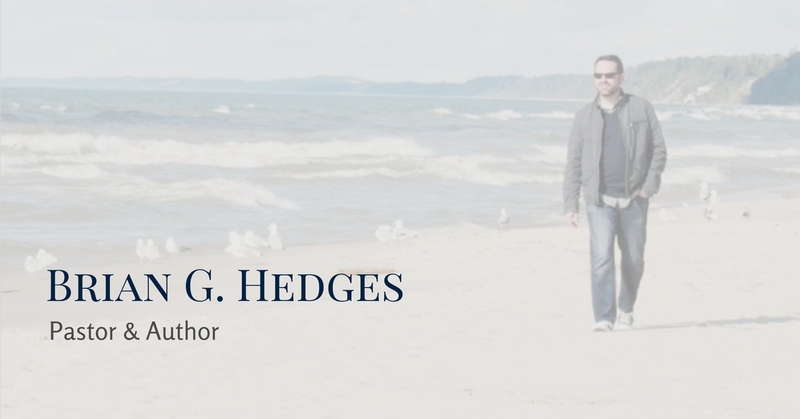 Through a series of letters to a friend, Hedges encourages active pursuit of holiness. Active Spirituality is a fresh take on ancient truth. It is sure to strengthen many believers. Biblically balanced, theologically precise, and warmly pastoral, Active Spirituality will counsel your mind, encourage your heart, and feed your soul. Chew on its nourishing truth and you are sure to grow as you pursue the holiness that can only be empowered by God’s grace. What Pastor Brian Hedges writes, I read. Why? Because his love for the beauty of God's grace is matched with his passion to see Christianity work in the real world. I need that! Once again Brian has served me and my church well by providing a fresh treatment of how our spiritual lives should work. What's more he's given it to us in a format of a friend: a series of letters! This book is a treasure of godly counsel for the daily journey of Christlikeness. Every believer struggles to maintain the healthy balance between grace and good works. Brian Hedges, in a wonderful readable style, gives us the biblical insight and practical balance we need. This will be a book you read over and over again and give to those you're discipling. Some books don't help much. This one will lead you to a vibrant spiritual life! In a compelling (engaging) series of letters to "Chris", Pastor Hedges (or Brian) does a wonderful job of explaining a fairly complex theological idea, perseverance of the saints, simply and warmly. Often, it seemed many of the letters were actually addressed to me! You will be blessed, as I was, by reading this book. Are there things you hate that you end up doing anyway? Have you tried to stop sinning in certain areas of your life, only to face defeat over and over again? If you're ready to get serious about sin patterns in your life - ready to put sin to death instead of trying to manage it - this book outlines the only strategy that works. This is a book I will return to and regularly recommend to others. 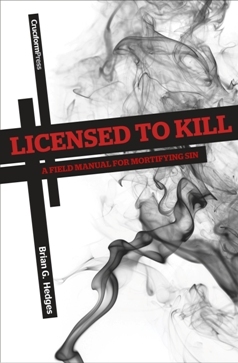 Brian Hedges hasn't written a book for our recreational pleasure, but a 'field manual' to assist us in our battle against sin. Rather than aiming at simple moral reformation, Licensed to Kill aims at our spiritual transformation in this fight by addressing the 'drives and desires of our hearts.' 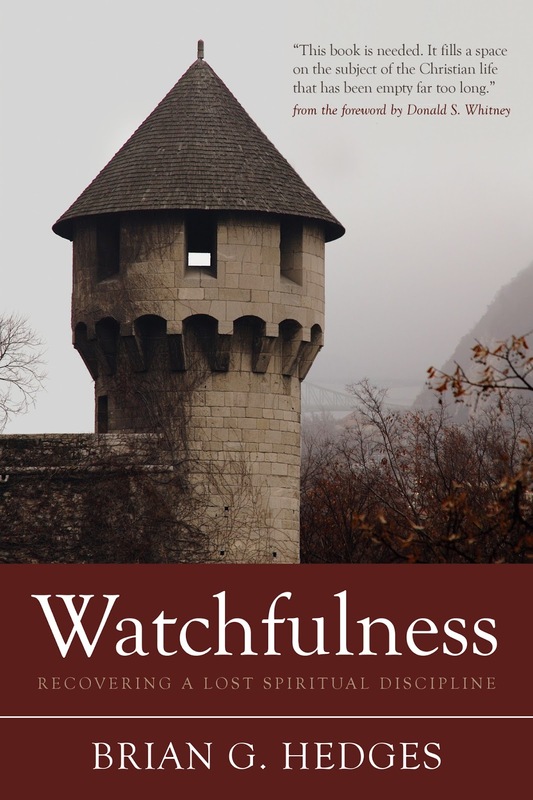 Like any good field manual, this is a small volume that focuses on the most critical information regarding our enemy, and gives practical instruction concerning the stalking and killing of sin. This is a theologically solid and helpfully illustrated book that not only warns of sin's danger, but also holds out the gospel confidence of sin's ultimate demise. Are you ready for a serious fight to the death? My friend Brian Hedges goes for the jugular by dusting off a near antique word (and worse, a scarcely-used yet lethal weapon): mortification. Are Christ-followers really licensed to kill? Read this 'field-manual' and you will discover that you have a monstrous and aggressive antagonist who is aiming to annihilate you. It's your duty to fight back! Brian has given us a faithful, smart, Word-centered guide to help us identify and form a battle plan for mortally wounding the enemy of indwelling sin. 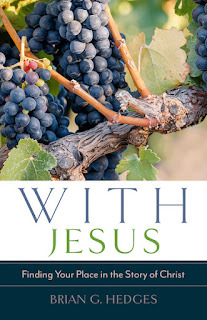 Brian Hedges brings a beautiful clarity to our understanding of the Gospel of Jesus Christ and pulls together a comprehensive patchwork of the Gospel's implications for everyday life. The result is a precise and practical picture of a lifestyle rooted in grace. 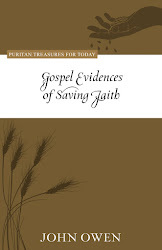 This is a Gospel primer that I will recommend again and again. Brian Hedges has done the church a great service in writing this book, which reveals the God-intended path of sanctification. The ultimate goal in spiritual maturity is to transform believers into the image of Christ. Those who apply the message of this insightful book will, by God's grace, find themselves growing into authentic Christlikeness.